My little Redhaven Peach Tree only produced four peaches this year. It had some anomaly that made the leaves curl, which has finally disappeared. There are several peach orchards in my area. I want to pick some fruit off a tree, since peaches do not ripen after being picked. They make a fine juice. 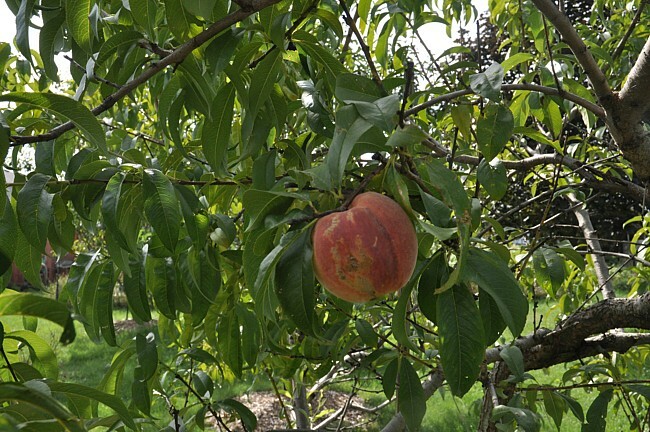 This entry was posted in Uncategorized and tagged 17 August 2016 Redhaven Peach Tree, Redhaven Peach Tree. Bookmark the permalink.